Welcome to Denmark’s coolest science centre in the heart of the most stunning nature, where Denmark was born. Welcome to GeoCenter Møns Klint - Denmark’s cool science centre. 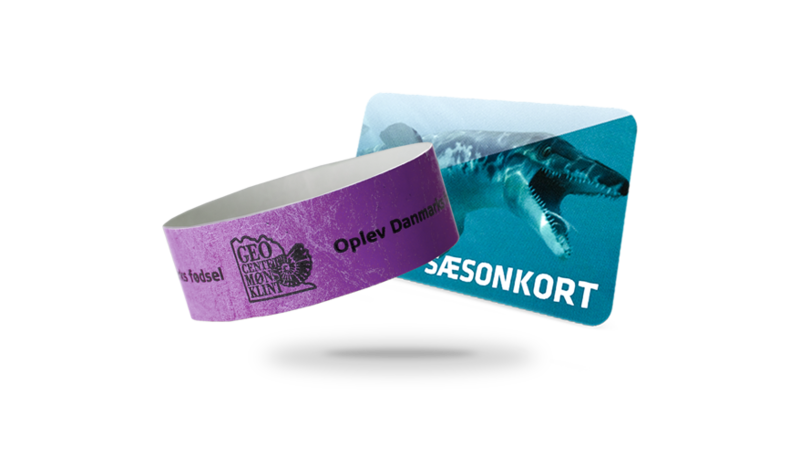 Learn and play your way through Denmark’s astonishing past - 70 million years back in time. Join the hunt for ferocious dinosaurs and learn about the Tertiary Period when meteor showers and super-volcanoes wiped out ⅔ of all life, about the Quaternary Period with its ginormous ice glaciers and the creation of the amazing nature - and the most stunning nature in Denmark at Møns Klint. More than 20 activities await adventurers of all ages - plenty experiences for more than one visit! Buy your ticket for indoor and outdoor experiences online - and avoid having to queue. Here’s some inspiration for 8 great things you can do at GeoCenter Møns Klint. See you soon! The exhibition, Where Denmark Was Born is presented in a space that was created digging out part of the actual cliff, designed as an exciting journey 70 million years back in time. 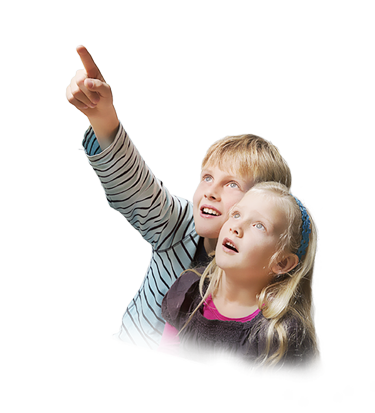 Play and learn about Denmark’s astonishing past - from the ferocious sea monsters of the Cretaceous Period to the age of meteor showers, super-volcanoes, ginormous ice glaciers and the formation of the amazing nature at Møns Klint. More than 20 activities - both physical and digital/interactive - will make a fantastic day for the hole family. Here you can learn amazing things about nature and, if you like, make your own jewellery. You’ll learn something while being entertained and maybe even terrified. Meet a genuine dinosaur in our special interactive exhibition. Once you have bought a ticket to the GeoCenter you can join one of our guides for some fantastic experiences in the nature. We have one of the most stunning mountain bike tracks in Denmark and the most amazing views from the tree climbing circuit in the tops of Klinteskoven forest. You can also go hunting for the past along the majestic white cliffs. The guides will make sure you have a safe tour, while describing the unique flora and fauna! There are so many excellent reasons for visiting us again and again. Find inspiration for other fun holiday destinations, experiences and accommodation in Copenhagen Coast and Countryside, Zealand and Møn.